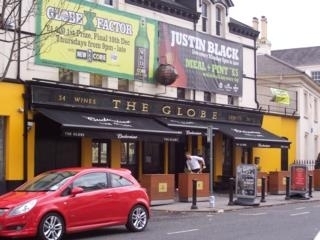 The Elms Bar is a popular student bar situated mid-way between the The Botanic Inn / Eg Bar and Shaftesbury Square. The Elms has plenty of Plasma TV's which allow good viewing football matches and there's food served during the day. Occasional drinks offers for football matches. Have you got Google Earth on your computer? If so, then download the Google Earth view of The Elms Bar. Is this the wrong position for The Elms Bar? If you think so, then modify its position. Click / Tap the button above to get directions from where you are to The Elms Bar. Disabled Facilities disabled toilets at rear. Ramp to high level inside.